Nintendo UK has posted a video of Xenoblade Chronicles 2‘s Executive Director Tetsuya Takahashi detailing the upcoming v1.3.0 patch, launching next week. Among the update’s additions are a New Game Plus mode, access to more rare Blades, an Easy Mode difficulty, and some granular changes to Driver levels. The New Game Plus mode will let players restart their save after they cleared their game, all while carrying over Driver Levels, unlocked skills for Drivers and Blades, collected Blades, items and Gold, Mercenary Ranking Level, Town Development Level, Unique Monster Kills, and Cutscenes. Quests, Heart to Hearts, Skip Travel Points, and Mercenary Missions do not carry over. New sorting options have been added to Accessories, Assist Cores, Blade List, etc. Players who purchased the Expansion Pass will also receive their fourth set of useful items. 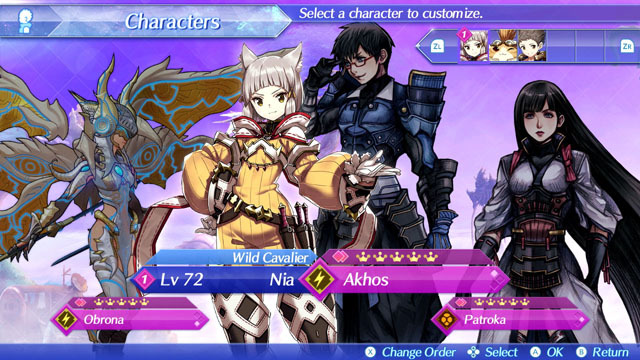 If you’re a fan and recurrent player of Xenoblade Chronicles 2, this massive update is a game-changer. Developer Monolith Soft will continue to support Xenoblade Chronicles 2 in the months to come, including the two major drops in the Expansion Pass DLC. Version 1.3.0 was originally supposed to drop in January but missed out due to errors caused by 1.2.0 which made select Blades disappear. In the interim, Xenoblade Chronicles 2 has sold over 1 million copies worldwide during its launch month. Previous Post:OPINION: Does a Game Series Really Need Yearly Installments?